Bushmills distillery is a triple distilled, Irish single malt producer. 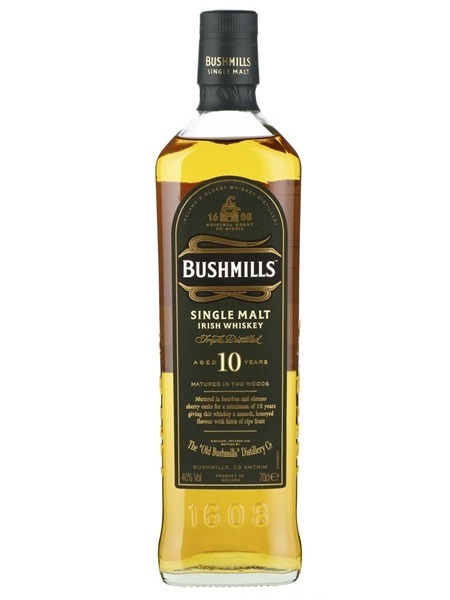 The 10 year old forms part of Bushmills core range. It is a beautifully made, light, crisp, fruity whiskey. It has been aged for a minimum of 10 years in ex-bourbon and sherry barrels and bottled at 40% ABV.